At the beginning of the 21st Century, Nancy Chick and her husband Charles had a vision: They wanted to create a preparatory school that delivered more than the typical offerings they had encountered when raising their own children. And so the Bluebonnet School in Cedar Park was born in 2002. It now has over 200 students enrolled in infant care, preschool, kindergarten, after-school and summer programs. It is a secure facility that boasts a full-time cook who ensures the students are given healthy and diverse meals. Furthermore, teacher-student ratios far exceed the minimum standards set by the state and, at Bluebonnet, those teachers have four-year degrees. "We have an emphasis on every-day, one-on-one interaction between children and teachers," said Chick. “We see ourselves as partners with the parents,” said Vice President of Operations Kristen Gregory, who has been with the school since 2003. “We do student assessments and have parent conferences every three months.” Gregory added that the school hosts parent seminars on such topics as sibling rivalries, nighttime routines and toilet training. The Bluebonnet School sits on two acres on El Salido Parkway, just north of RM 620. “We wanted the large space because we believe children must move in order to be ready to learn,” said Chick. 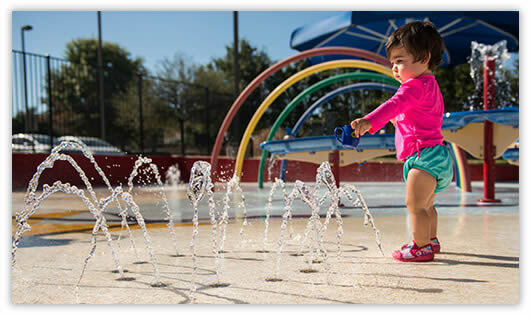 In addition to plenty of room to spread out and play, the school boasts a water park that uses UV-treated, chlorinated and filtered water to ensure cleanliness. In the classroom, great emphasis is placed on the sciences. 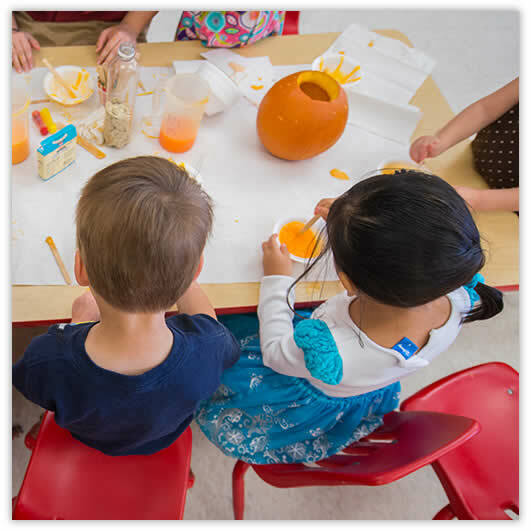 Even pre-K students take part in entertaining and educational scientific experiments. While the children are busy learning and having fun, the Bluebonnet is busy assessing their progress. The youngest are tracked using 20 different criteria. As they get older, that number rises to 50. For its banking, the Bluebonnet School is a member of the Amplify Credit Union. 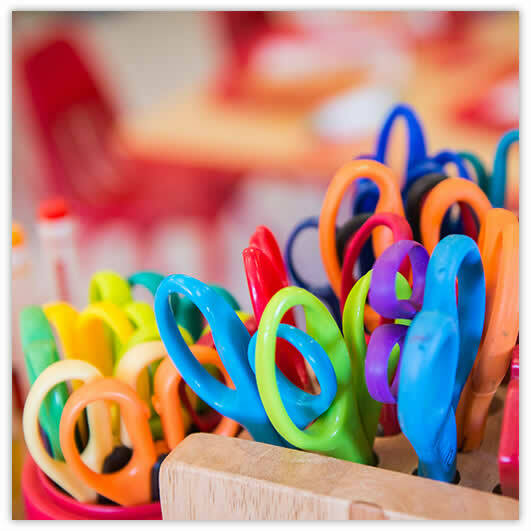 The Chicks and the staff at the Bluebonnet School have worked hard to make a place where children can be at their best while preparing them for what lies ahead. They have done this by making learning a positive experience. “Joy every day—that’s what we strive for,” said Chick.